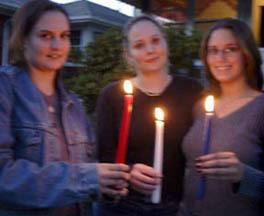 A candle light vigil was held around the country on Friday night September 14, 2001, a National day of mourning. Watching the scenes on TV was like watching scenes of an apocalypse taken from a Science Fiction movie. Seeing the workers pulling away debris instills inside us a sense of wanting to help any way possible. 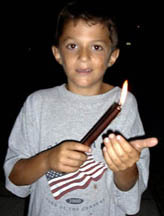 The lighting of the candle in unison around the country not only unifies the country but lets us know we are not alone in our feelings of helplessness and despair. 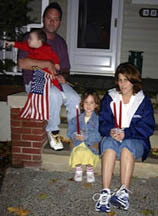 Light a candle and never forget the people who died on September 11, 2001.